Are you a twit if you don't want to Twitter? 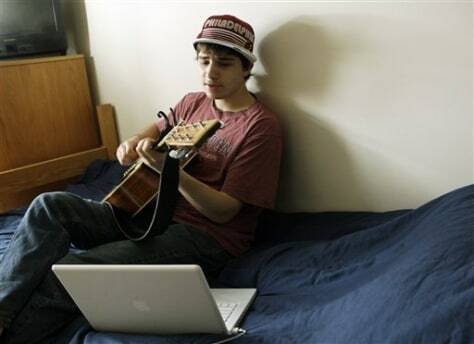 Mike Nourie, 20, plays guitar and sings in his dorm room at Emerson College in Boston. Nourie says he feels a little relieved to escape social networking when he works summers at an inn on Cape Cod, where connection to the wired world is spotty.